Why can’t I see the document in the folder, but can find it when I search for it? 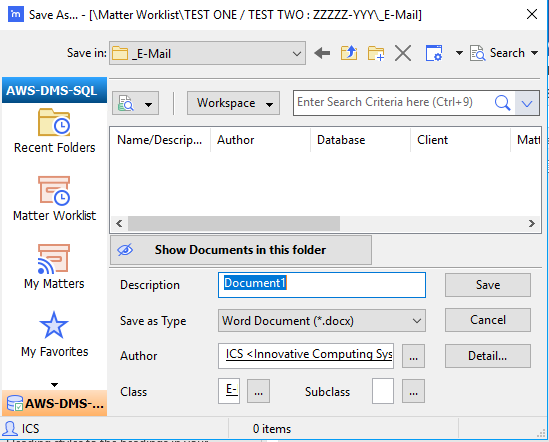 The document was only profiled, meaning it was saved with the client/matter metadata, but does not actually reside within the Workspace/folder. To correct this, file the document by doing a drag-and-drop from the search results pane into the folder. 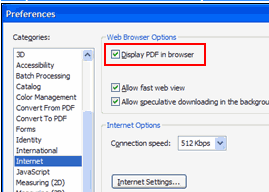 How can I save a PDF from the Internet directly into iManage without downloading/saving it first? 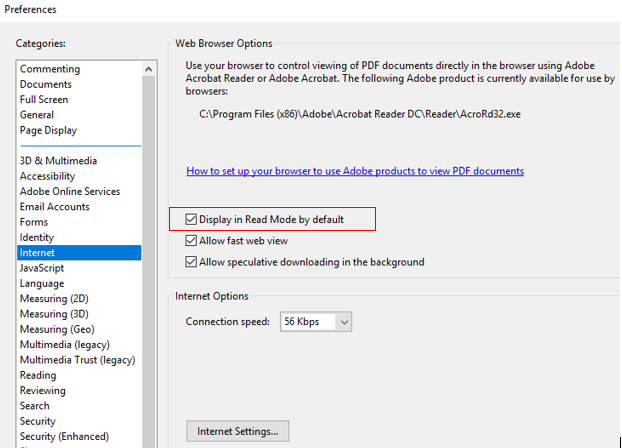 To display the PDF in the browser, check "Display in browser"
To open PDFs from the web directly in Acrobat, uncheck "Display in browser." We hope the last three weeks' of iManage tips have helped!